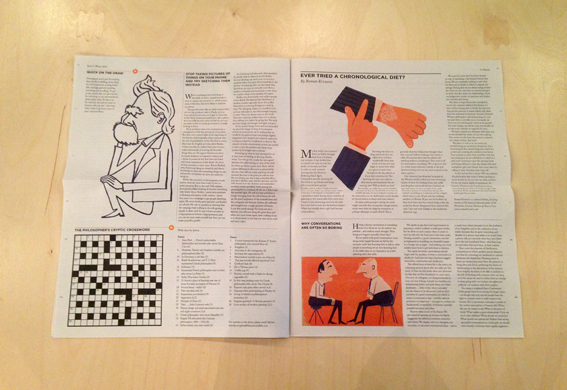 Here's a charming newspaper we printed recently. 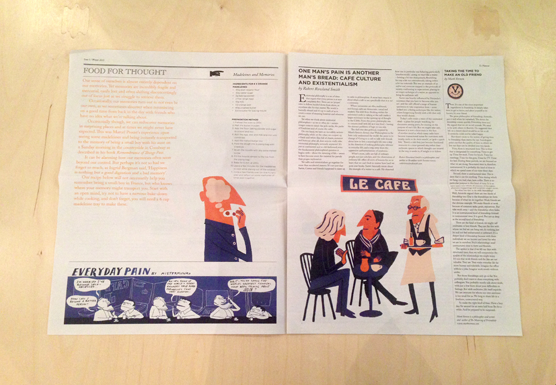 Le Flaneur is a thoughtful classic tabloid produced through a collaboration between The School Life and Le Pain Quotidien. The publication was introduced at a 'philosophy breakfast' held recently in Canary Wharf to discuss some great thinkers' thoughts on food and wine. 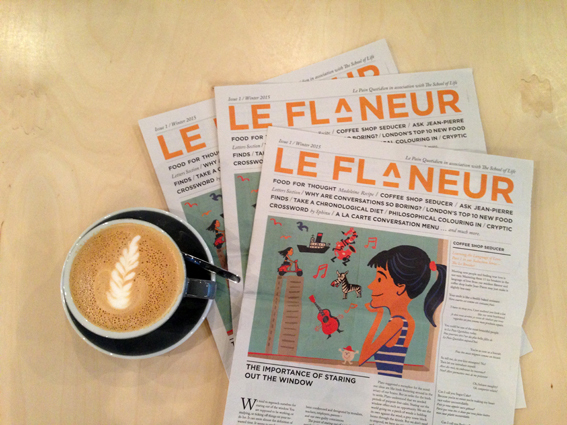 'Le Flaneur is a light-hearted quarterly newspaper filled with articles on free time, fresh philosophical ideas, friendship and food. It was commissioned to ensure customers feel comfortable spending their time sitting, thinking, and talking -- creating a genuine 'community spirit'. Articles cover the importance of staring out the window, cafe culture and existentialism, and why conversations are so boring. There's even a crossword! And it's free - while supplies last, of course. Available at Le Pain Quotidien locations around London.